Brizy is a free WordPress page builder built in React. It represents a new way of building websites with WordPress what is both innovative and very easy to use. Brizy is the new page builder that brings along with it new ways of doing things. Normally I wouldn’t be excited about a new page builder because I only want to use products that I know I can depend on and that will be supported long term. What is different here is that the developers of the Brizy WordPress page builder have been developing WordPress products for 10 years. That’s what makes this different for me. Right now they have a pretty aggressive roadmap with some amazing features planned. So time will tell if they can deliver. I think they can and they will. There are currently no active Brizy Coupon or Brizy Discounts available. 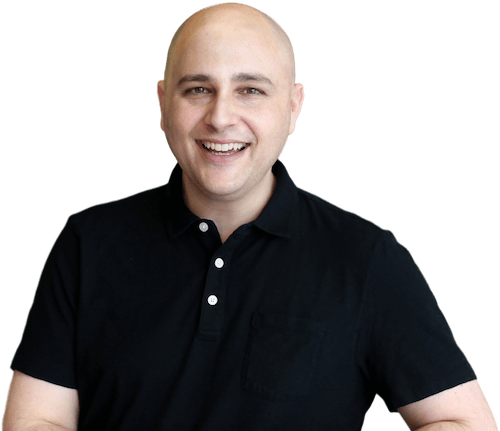 However, if you do purchase Brizy through the link on this website, I will give you access to one of my premium training course which normally sells for $99. Using Brizy this early in its life is a risk. However, in this case, I think it’s a pretty safe bet that they will be in it for the long haul and be able to deliver on their roadmap. can we be able to edit the html in brizy? You are not able to edit the HTML in any page builder that I’m aware of. I like Brizy but is it just for landing pages, because I cannot find a menu option to link to other pages? I am currently debating between Beaver Builder, Elementor, and now Brizy (for the lifetime deal). I only make sites for myself, but require at minimum grid posts with infinite scroll that works on WP multi-site. Do you think Brizy can do this? Will I still need to buy a theme, and if so, does Astra work with Brizy? Brizy being able to do that is going to take them some time. I am sure they will get there, but they have a ways to go. I would suggest Elementor if you need something for today. Thank you for the reply. Elementor does look pretty awesome, and I might take you up on those bonus offers! Brizy is far, far, far away from Elementor, maybe purchase Brizy Lifetime like a future investment is a good idea but nothing more for now. Check Brizy elements and then check Elementor elements. Brizy PRO can’t compare with Elemetor free, don’t have HTML element, tablet previe……..etc. For now Elementor PRO is 10 light year forward than Brizy PRO. Very true, it has a ways to go, but it does have a bunch of really unique features to it. They recently released a ton of templates where you can instantly change the style globally. It’s really cool. They have lifetime option going one, do you get a kickback i buy it with your link? Yes the button uses my referral link. There is a Pro option in the navigation on their website if you want to see the Pro version. So with Brizy the free version is going to have most features. But it will not have all the options someone may want. For example, the free version has forms, but the pro version will have multistep forms. What theme are you using here? Love how the video follows me down as I scroll. I use the Astra theme. To get that feature, the sticky video, there is a plugin on CodeCanyon named sticky video, you can grab that if you want the same feature. Thanks so much for taking the time to review this. Such a seemingly simple thing of changing the focus point of a large image is a game changer for me. However, the fact that there’s not yet any way to add a grid of latest posts or to make a gallery of images (masonry or grid style) is a serious limitation, meaning that I can’t use this page builder for any of my client’s websites right now. Am I right in thinking that that functionality will be available as dynamic content in the pro version? If so, that would make it way more expensive than some of the other page builders out there. Thoughts? Yes being that it is new, there are some things like that which need to come and I am sure they will come. I bet the final price after the presale will be in line with the other builders, package wise, but a bit more generous on active installs. I’m using the List Category Posts plugin to render the list of posts through use of a shortcode Brizy widget. Seems to be working fine for now until they officially add a supported widget type, which is in their roadmap. Hi Adam, how will the category/single page template work? is it set on the individual level or global? What about adding other stuff like related content? will this rely on the main theme or Brizy can add it too? Not sure yet. But as the release date approaches, I am sure more info will be released. I am pretty sure it is going to work just like how Elementor and Beaver Themer works. Hi Adam, Great review as usual. Am I missing something? But is there a link to purchase on your site as you say there is? Just couldn’t find it. Hey Paul, will always remember you because of your last name, lol. Thanks you Adam. Mr Bacoon is well pleased ?. Hey Adam, I just purchased the Lifetime Pro through the referral link on your YouTube channel video. I hope that link gives you the credit. Does joining through that Youtube video qualify for one of your $99 courses, or is that only available when done through this particular website? Yes it sure does. Send your receipt over if you haven’t already. 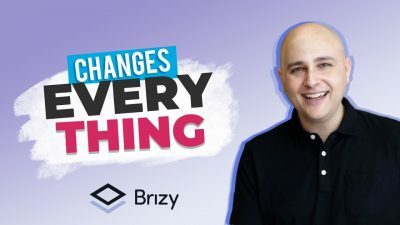 Are you planning to do a tutorial for Brizy? Is so when? This would help with my decision to buy Brizy Pro. Did you watch the video on this page? Its pretty in-depth in showing most of what is there. I will be having various videos as well. Should have a new one tomorrow. A slight Freudian slip. What I meant to ask is are you coming out with a tutorial on Brizy Pro once it is finally released? Haha! Oh yes I am going to be. In fact, I should have a video up today on their new global sections feature they just released. hi, i am using Brizy builder free plugin on wp theme Renden X. designed new page in it and published but the designed site is not visible. If you watch the video here on this page, I cover that in the first few minutes.